Police have said they will offer support to the family of an officer whose relatives were targeted by 'cowardly thugs' who planted a hoax device outside their home. 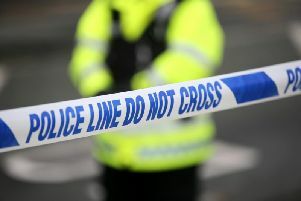 Residents were this afternoon allowed to return to their homes after a device found under a car outside the family’s home at Drumleck Drive in the Shantallow area of Londonderry was declared an elaborate hoax. It is understood the same family have been targeted several times. Army Technical Officers arrived at the scene earlier as residents - some of whom were described as elderly and vulnerable - were evacuated to Shantallow Community Centre. Speaking about the security alert, PSNI Chief Inspector Alan Hutton said: “It is shameful that this family are being needlessly targeted by cowardly thugs who have no thought for the impact their actions are having on a couple who have lived here all their lives. “The fact this device was an elaborate hoax does not diminish the fear and disruption it has caused. Chief Inspector Hutton said the couple targeted 'have much to be proud of'. “Just last weekend their son was on duty with colleagues assisting a vulnerable person at the bridge. What were those who made this hoax device doing to serve their community? That’s the challenge that needs to be thrown back at these people,” he said. “The impact of this incident was much wider than the family of this officer. It affected the neighbours who had to leave their homes because it wasn’t clear at that stage if it was safe to stay. “It disrupted the lives of people trying to get ready for a day’s work or do the school run. He added: “We will continue to offer support to our officer and his family and the investigation into who was responsible for the hoax will continue.